This month, on behalf of our patients, we would like to start by thanking you for all of your support this year. Our teams would not be able to carry out their lifesaving work without it. We also hear from those we are helping caught up in the Rohingya crisis in Bangladesh, look to a worrying outbreak of diphtheria in Yemen and our specialist HIV centre in Guinea. On behalf of our millions of patients across the world: thank you. As an MSF donor, you fuel the delivery of medical aid to the people who need it most, no matter where they are or whether they have hit the headlines. Your money pays for millions of consultations, operations, treatments and vaccinations every year. As an organisation, we work to spend your money in the most efficient way and to help those in greatest need. Rashida's story is a hard one to listen to but we feel it must be heard. Since 25 August this year, more than 650,000 Rohingya had fled violence in Myanmar's Rakhine state. The stories we have heard are horrifying. A recent survey published by MSF estimates at least 6,700 Rohingya were killed in the first month of violence. This is a conservative estimate. A visual journey through the MSF-supported 31-bed specialised AIDS unit in Donka hospital, in Conakry, Guinea's capital. The unit opened one year ago in December 2016 due to high numbers of AIDS patients without care. Here we provide specialised hospital care for severely ill HIV patients who require a delicate balance of rapidly treating infections and rebuilding the patients’ immune system. 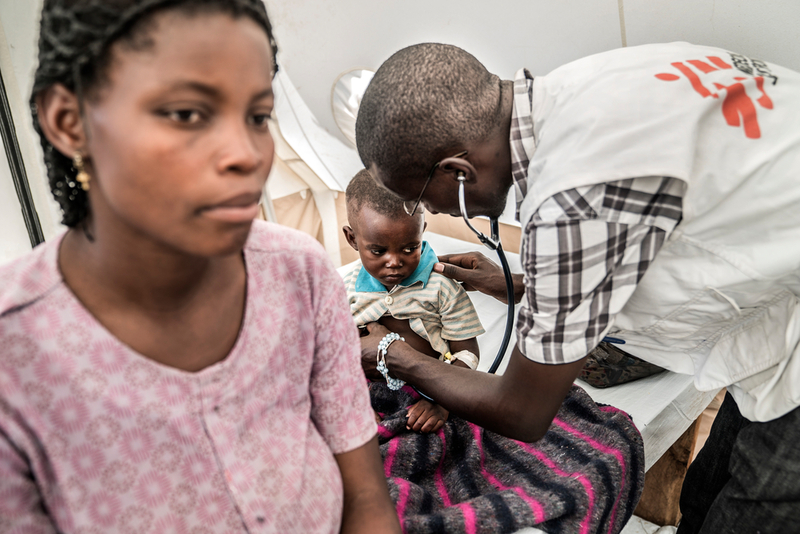 The very ill patients that MSF admits commonly arrive with one or more opportunistic infections including Karposi Sarcoma and cryptococcal meningitis.